It's time to dust off the suit and step back into the crazy world of football management as Sports Interactive step out of the closet with the latest edition in the Football Manager series. This stretches back to the days of Championship Manager once developed in the Collyer brothers bedroom and released way back in 1992. 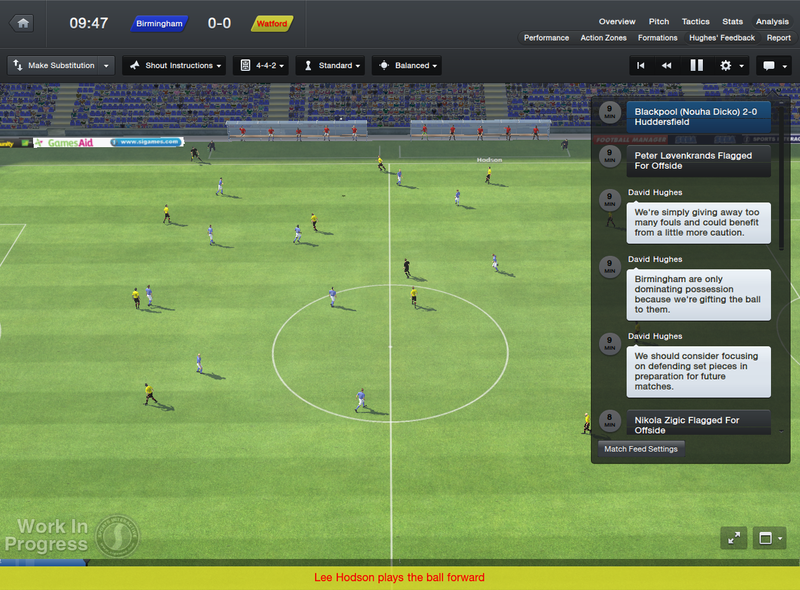 Of course, Football Manager 2013 has come on a long way since then! Football Manager is known for it's in depth databases and micro-management and FM2013 is no exception, however the game now gives you the opportunity to palm off some of the more tedious tasks onto your assistants and even the newly introduced Directors of Football. Don't like the hassle of trying to sign players? Leave it to the Director of Football! For the purists this may seem like blasphemy but for those that don't want to have to control every single aspect of their club it'll be a breath of fresh air as you now dictate what you want to control and what you want your staff to handle for you... just don't expect them all to be brilliant at doing what you tell them! Its a big job... but who says you have to do it all by yourself! Now the whole point of the game is football and FM2013 captures the heartbreak and triumph of the beautiful game, along with many a handful of hair torn from the head! Don't be fooled into thinking you can just pick 11 of the best players and expect them to get the job done, you'll need to actually tell them what you want them to do otherwise you'll end up seeing Barcelona being beaten by Accrington Stanley! (Well, maybe not quite that drastic...) The attention to detail is extremely fine as a simple substitution could throw your game plan off completely if you don't modify your tactics to suit the replacement properly, so no throwing Gareth Bale on to replace Shinji Kagawa and expecting to see instant results without tactical changes. 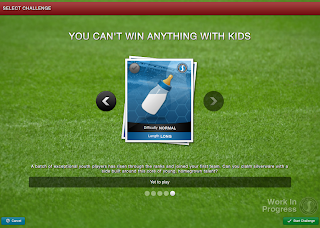 New this year is the Challenges mode which includes challenges such as "You can't win anything with kids" which expects you to do just that when given a golden generation of youngsters and told to win a trophy with them. The challenges mode adds a bit of flavour to the game which in previous years has had a bit of a "what do I want to do today?" ethos about it, but now you're given clear defined goals besides the board expectations. This year Football Manager introduces online competitions over the Steam network which allows you to pit your finest XI from one of your many careers and alter-egos against your friends best XIs to determine who the best of the best really is! Available to choose from are knockout tournaments for up to 32 players, leagues for up to 6 players and head to head 2-player leagues playing each other five times. 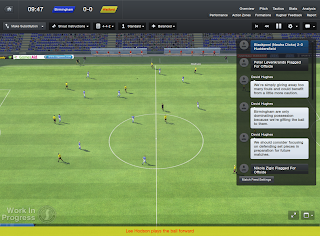 Football Manager 2013 comes with a brand new look as it offers a smoother interface over the previous years, particularly when it comes to match day; you have the television style presentation of the match with a handy toolbar at the top of the screen including shortcuts to your touchline shouts, formations, substitutes and mentality allowing for easy tactical changes. Gone, however is the week-ahead calendar at the top of the screen, instead it’s become a dropdown menu option and automatically displays itself when advancing the game, which for me is a bit disappointing as I preferred the quick at a glance week view it offered. Accompanying the calendar on the loading screen when advancing the game is the league table and relevant news items to your game world giving you something to look at whilst the game crunches all those facts and figures. Great improvement to the 3D match engine. The new interface offered by the game takes a bit of getting used to for veterans of the series, but it's more of an evolution of the style introduced in 2012 than a whole new ball game. The old news screen has been totally revamped and now resembles a football website as opposed to the apparently random assortment of news items of yesteryear. The 3D match-engine has undergone drastic improvements; the players are looking less like generic coloured ragdolls and more like individual football players as the series progresses. The 3D engine still has a long way to go though to meet the standards enjoyed by the LMA Manager series of a few years ago but by no means is it a weak effort, the hungry task of running the database alone makes the 3D engine a credible achievement but for those who enjoy a fancy presentation, this still isn't your year. 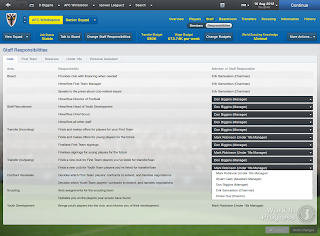 There's a reason football clubs such as Everton use the Football Manager database to scout for real life talent, the database is so in depth that the game becomes an incredibly realistic simulation of modern football - including the free-spending moneybags at Manchester City using their financial muscle to try and win the league. However, don't be surprised to see one of the "big clubs" ending up collapsing as FM2013 simulates the Leeds-esque decline of an overspending superpower! If your club isn't super-rich already, don't worry because board takeovers remain in the game... but with them comes the risk of losing your job purely because the new chairman wants to bring change with him and wields a Roman Abramovic sized axe conveniently placed upon your neck. 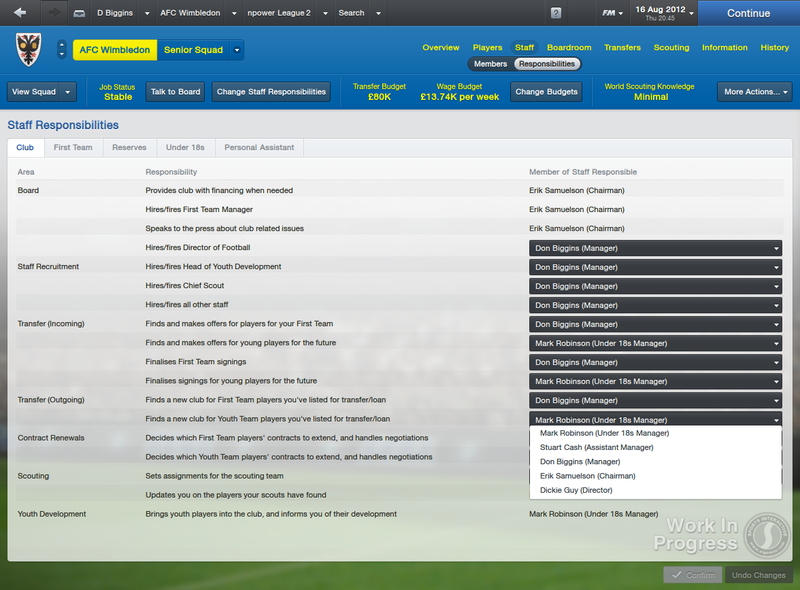 Football Manager 2013, like its predecessor, helps newcomers find their feet in the series with a handy tutorial that pops up when you first start a game containing a series of questions you can ask if you're unsure of how to do a particular action and believe me, with the depth this version goes into, there's bound to be a lot of questions! Lots of challenges to keep you busy. Speaking of questions, press conferences give you a chance to experience the heat of the media spotlight on your underperforming side or the adulation of the press running out of superlatives for your superb invincibles! In classic mode however press conferences are removed but you'll occasionally get news items popping up with a question being asked instead. Player interaction remains similar to last year with the tone of your voice playing a huge role in how a player will react to your requests... but not all players will react the same so be careful if you don't want to send your team morale into a downward spiral that will only end in relegation... or the sack! Team talks still remain a mystery to me though as there is always the one member of the team that just doesn't want to play ball and loses focus because of your kind words of encouragement. 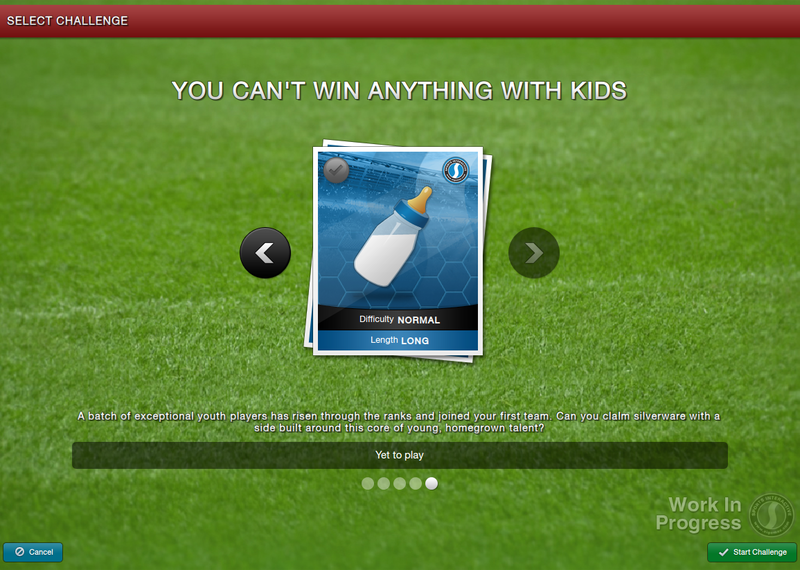 Football Manager 2013 is yet another successful effort from the boys at Sports Interactive and this year’s edition feels less like a subscription renewal and more like a new game with the additions of classic mode, challenges and a noteworthy online mode. Credit must be given to Sports Interactive for breathing yet more life into an already flourishing series and not allowing themselves to rest on their laurels and just churn out roster updates as new games! All in all, FM13 is a highly recommended game for existing players and for football fans across the globe being given the chance to change the fortunes of their underachieving club and turn them into the new Barcelona!